Three types of guardians may be appointed for a minor in North Carolina: a guardian of a minor person, a guardian of a minor estate, or a general guardian. A guardian of a minor person oversees the child's medical care, safety and other issues relating to his physical care such as his education. A guardian of a minor's estate controls the child's assets such as bank accounts and stock. A guardian of a child's estate must obtain a surety bond from an insurer; a surety bond insures against loss of the child's assets if the guardian mismanages the property or fails to perform her duties. A general guardian is the guardian of both the minor's person and property and as such, must obtain a surety bond from an insurer. 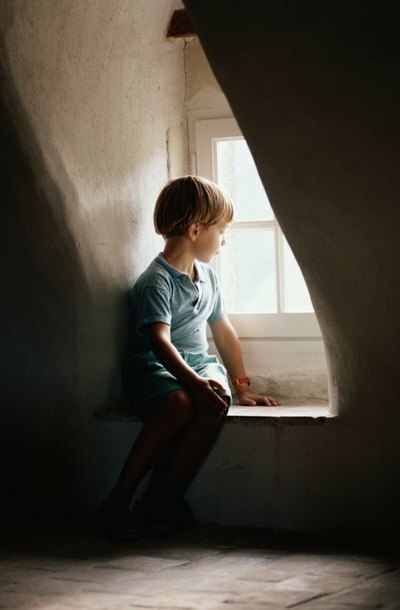 Whether the a minor's guardian is a guardian of her person, her assets or a general guardian depends on the child's needs and the court's decision. For example, a minor with no significant assets may only need a guardian for her person. In North Carolina, the court appoints a guardian after a guardianship petition is filed. Anyone may file a petition, but if both parents are dead, the petition is filed with the clerk of the superior court of the minor's county of residence. If either parent is living, the petition has to be filed in the civil district court of the child's county of residence. The exception to this rule is the appointment of a guardian of the minor's property only. The clerk of the superior court may appoint a guardian of the minor's property if either parent is living, but a hearing is held if the parent won't agree to the appointment. A parent may name a legal guardian to act in the event of her death in her will; however, while the court will consider the parent's will nomination, the best interest of the child is the biggest factor in naming a guardian. North Carolina allows a parent who has a fatal disease or chronic, progressive illness to name a "standby" guardian for a minor child. The named person becomes legal general guardian or guardian of the minor's person once the parent dies or is incapacitated. A parent may name an alternate standby guardian at the same time; the alternate becomes legal guardian if the first guardian is unable to act. If an incapacitated parent becomes able to care for the child again, the standby guardianship's authority is suspended until she's needed again. North Carolina laws give the court authority to decide who is the best choice for a minor guardian. The laws don't allow a person who is working in a facility where the minor is an inpatient or living as a resident to act as guardian. Any type of guardian may be removed for reasons other than the minor reaching the age of 18. If the guardian is no longer competent, fails to take care of the minor or doesn't manage his funds properly, the court may remove him as guardian. A guardian may be removed if she can't financially take care of the minor, is going to move to another state, or if she made false claims during the appointment process. A guardian of a minor's property may lose guardianship if he fails to post or maintain the surety bond required by the court. When Does Legal Guardianship End? A legal guardian is a person who is given authority over and legal responsibility for another person or her property by a court. A court may appoint a guardian for a minor or an adult who's incapacitated and can't make her own decisions or take care of herself. Reasons for a guardianship vary by situation. For example, an incompetent adult who can't manage her medical care needs a guardian for safety reasons. A legal guardian's authority ends as soon as the person for whom he's responsible, known as the ward, dies. But there are other reasons a guardianship may end, such as court-ordered termination and the guardian's own resignation.